If you are getting into this page for the first time, you can read this article to learn the basics of Dragon Metrics' Research Mode. 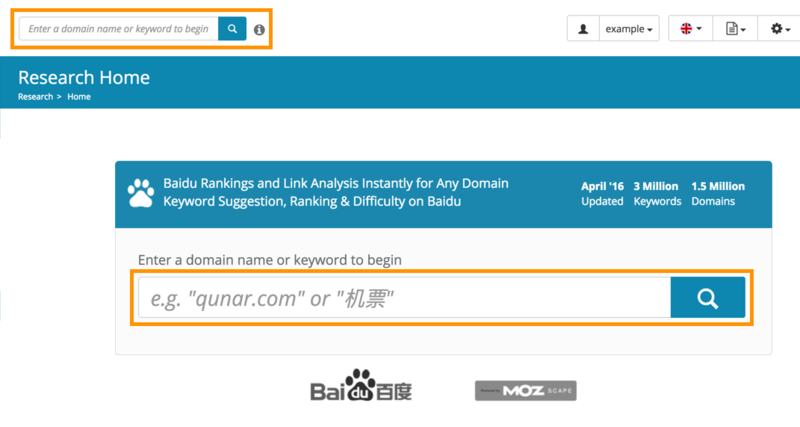 The Domain Research Overview page will give you the most important information you'll need to know when doing Baidu SEO research and it can often be the starting point of any China SEO projects, if you want to use Dragon Metrics for Baidu SEO, this will be an important page to get yourself familiarize with. Domain Authority	-	A score out of a total possible 100 predicting how well this site will perform in search engine rankings. Scored logarithmically, so there are far fewer domains with a score of 90 than of 30. Powered by Mozscape. Page Authority	-	A score out of a total possible 100 predicting how well the home page of this site will perform in search engine rankings. Scored logarithmically, so there are far fewer pages with a score of 90 than of 30. Powered by Mozscape. 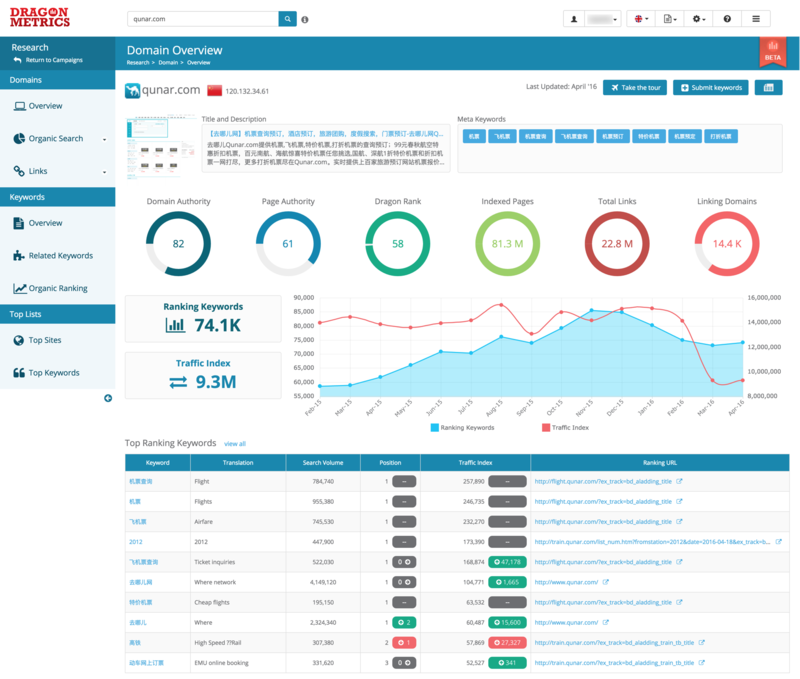 Dragon Rank	-	Dragon Rank rank all the websites in our database by their estimated monthly organic traffic (Traffic Index) they receive from Baidu. Indexed Pages	-	The number of URLs from this domain indexed by Baidu. Total Links	-	The total number of external links pointing to this domain. Powered by Mozscape. Linking Domains	-	The total number of linking domains linking to this domain. Powered by Mozscape. Position	-	The top organic position the domain is ranking at. Total Links - The total number of external links pointing to this site. This metric is powered by Mozscape. Linking Domains - The total number of external domains linking to this site's root domain. This metric is powered by Mozscape.